This feature is actually a post geared towards Mother's Day but there were so many mason jar party ideas packed into it that I couldn't not feature it now. 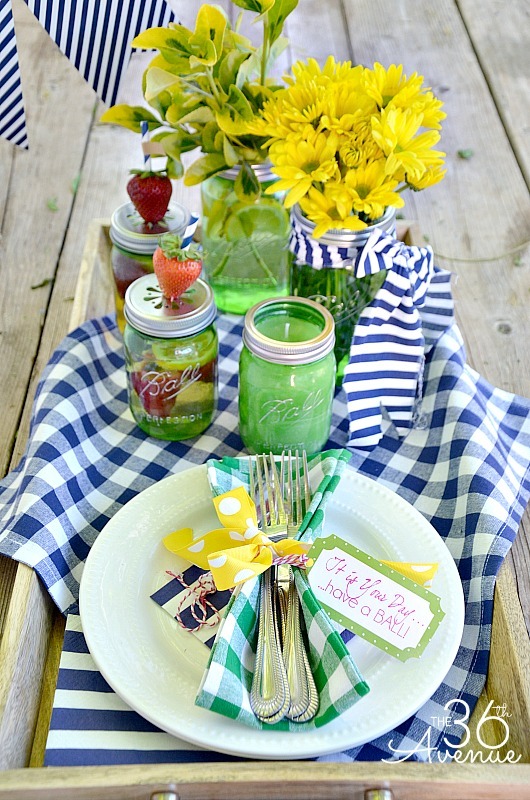 Use those gorgeous green mason jars from Ball to throw one heck of a party with these mason jar crafts from 36th Avenue. Click here to get details on all of the ideas you see in the picture below then plan your own mason jar party.